The countdown to Thanksgiving has begun and I know many of the parents I work with are wishing they could hold off just a while longer. Not because they need more time to prepare the festive menu, but because when living with a child on the spectrum days that veer from routine can be trying. Kids with autism do best when they know what’s coming. Holidays lack comforting routine and present potential surprises. They’re a challenge. 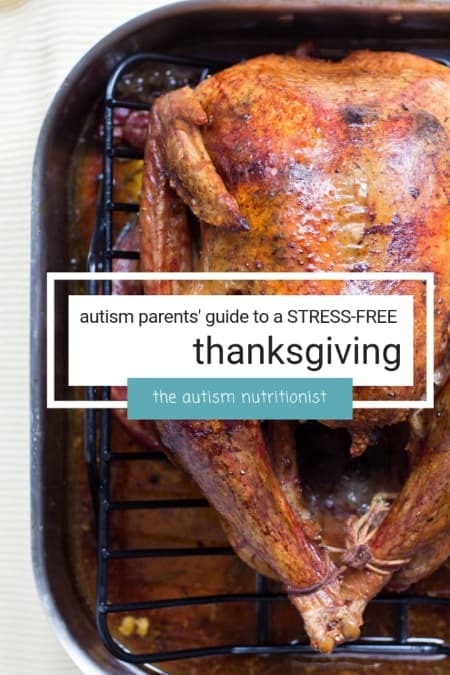 Combined with the extra pressure to have a happy day, holidays like Thanksgiving can lead to stress and anxiety for both child and parent. Early and repeated preparation is your ticket to a smooth holiday. There’s no way to anticipate every possible situation, but it is possible to work with your child so he feels more comfortable. Preparation will mean different things to each child depending on their areas of need, but the goal is to clear up as many questions as possible. Prepare your own expectations as well, and, of course, having a plan B (or even C) never hurts! Try these techniques to prepare for an easier holiday with your family this year. Involve your child in as many choices or decisions that you can. Invite them to help planning of the menu, decorations, or seating chart. Play to their strengths so they can create positive associations. Does your child do well with visuals? If so, create a picture schedule, social story, or Thanksgiving picture book with photos of guests to demonstrate what the day will be like. Include as many details including dates and times as possible. Discuss everything that you can ahead of time: what will you be eating, how the meal will be served, who is attending, what is the schedule. If you’re having company, consider creating a script for your child to practice and follow. Talking ahead of time can avoid the embarrassment and frustration that comes with addressing an issue in the moment. Be specific. Clarifying your expectations ahead of time allows everyone to get on the same page. I don’t know a family whose holidays look the way they do in the movies. Be realistic about what you’re hoping for and asking your child to do. An out-of-the-ordinary day is likely not the best time to try something new or test limits. You know what works for your child. Honor that. It probably won’t be seamless, but it will be unique to your family. Meltdowns happen. Things break. Have a backup plan. If you’re celebrating out of your house, pack your child’s preferred soothing items such as a weighted blanket, favorite game, or headphones. Identify a safe space where your child can reset. Let’s recap. Days that don’t follow the same routine can be rough for children with autism. There are a few things you can start doing now to help your child and family make it through the day feeling as little stress and anxiety as possible. Discuss the day in detail. Review the schedule and plan. Be clear with your expectations and include your child in decisions whenever possible. Finally, take some pressure off! Have a backup plan - or two - and do your best to keep pressure low and enjoy the time with your family. 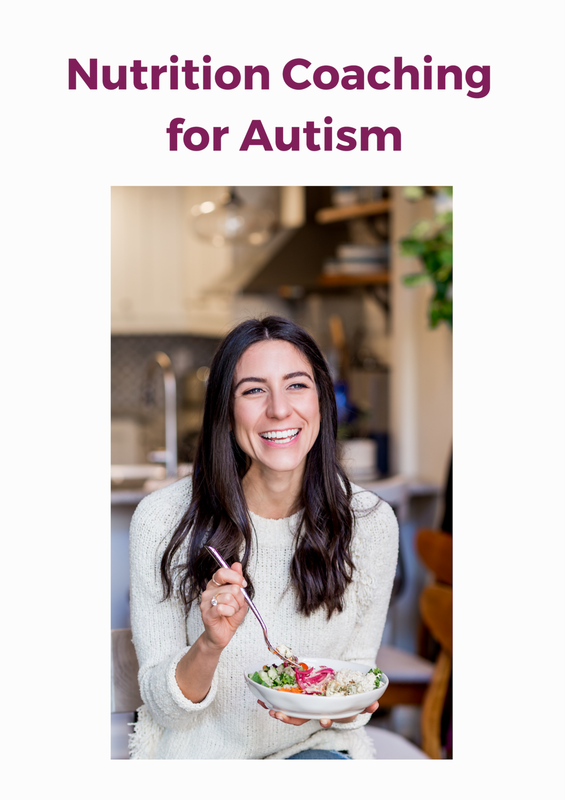 If you’re interested in receiving more tips about helping your child and family enjoy eating sign up here.